Teamwork is important on many levels. Working as a team internally ensures that our beneficiaries are receiving the best, most innovative and technically accurate services and programs. Teamwork is important on many levels. Working as a team internally ensures that our beneficiaries are receiving the best, most innovative and technically accurate services and programs. Working as a cohesive team within the community also allows us to truly hear Kiberans, enabling us to better understand needs and concerns, and to work together to efficiently find solutions to challenges. At CFK, we place a high value on teamwork. In fact, it is one of six core values on which the organization was founded over 17 years ago. To strengthen mission delivery, our Kenyan team kicked off the new fiscal year with 3-day training and staff retreat in July. Nothing breaks the ice like a well-planned teambuilding event! Do you remember playing the telephone game during your childhood? What started out as “Suzie and Sally sell seashells by the seashore” quickly became a different tongue twister about Sammy needing a new door. 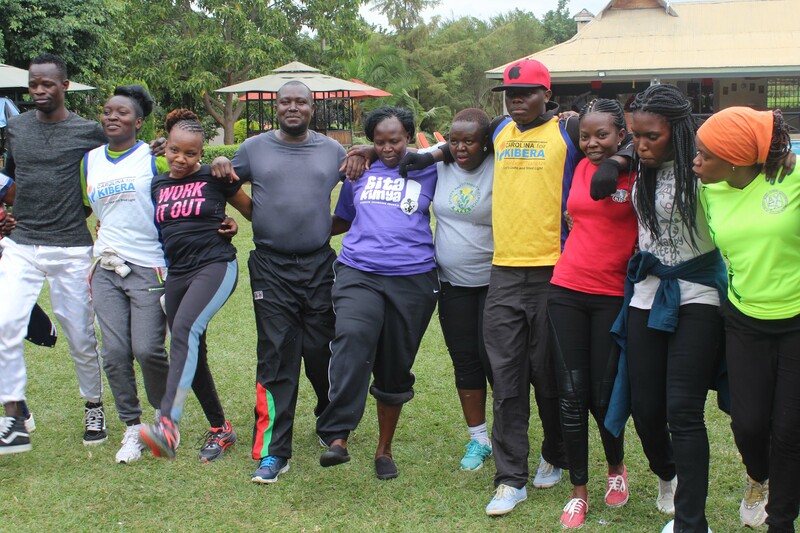 Amidst the laughter and fun in this exercise, Executive Director Hillary Omala reinforced that effective and adaptive communication is key in all we do at CFK, including developing skills as a resilient team which shares the same mission. Hillary definitely kick-started the team spirit! CFK Executive Director Hillary Omala at the staff retreat. While policy and procedures can feel at times tedious for staff, the human resources and finance teams engaged the team in exploring how these functions facilitate order, harmony, and coherence across the organization and into the community of Kibera. “Having the resources you need, including human and financial resources, are key to our successes. 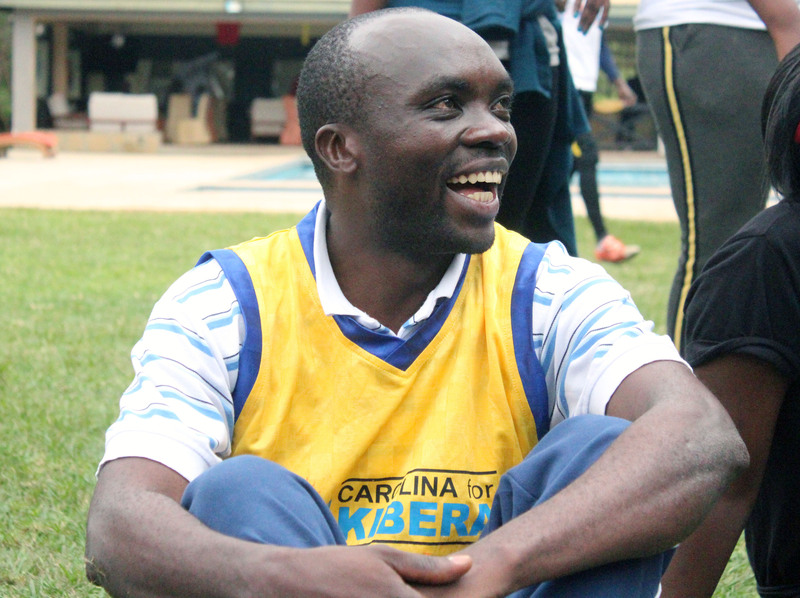 The training brought out clearly the commitment the organization has to ensure we succeed in everything we do,” shared Valentine Cheche, administrative officer. Proper planning and precise execution are additional key ingredients for team success. “We want to become more efficient and more effective in delivering quality services to the people of Kibera,” said Mark Muasa, head of programs, during his training presentation highlighting recent programmatic changes. Over the last 6 months, we have re-strategized and reorganized the programs we have been providing over the last 17 years into four focus areas: health and wellness, girls empowerment, youth empowerment, and thrive. CFK staff join together in one of several team building activities at the retreat in July.